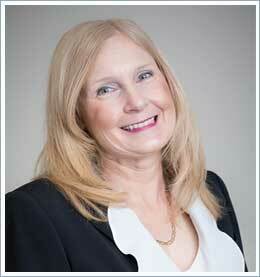 Ms. Dagner has been practicing law in Colorado since 1981. She focuses primarily in the area of civil litigation, emphasizing complex personal injury, premises liability, construction defect, products liability and insurance bad faith. She is also frequently retained to provide evaluations and legal opinions regarding insurance coverage and defense obligations under all varieties of insurance policies. Ms. Dagner’s clients value her commitment to exemplary ethical standards and are impressed with her equally-strong determination to secure the desired outcome for them. Ms. Dagner’s commitment to her clients extends far beyond the courtroom, though you will find her there aggressively pursuing their interests when appropriate. She is dedicated to investigating and making sense of complexity; unraveling complicated facts; vigorously pursuing her clients’ interests in litigation, and all the while considering her clients’ financial and personal commitments. Her approach is a unique mixture of pragmatism and strength, which has resulted in favorable results for clients on hundreds of cases. Ms. Dagner writes, publishes and lectures through Dagner | Schluter | Mitzner | Werber, LLC, as well as through various continuing legal education programs, comprehensive reviews of various subjects pertinent to the law in Colorado. Seminar presentations in these areas have been accredited for continuing legal education in Colorado.